Stay in your own fairytale Loire Valley château. A magnificent 19th century privately owned château, situated in the heart of the beautiful Loire Valley, France. 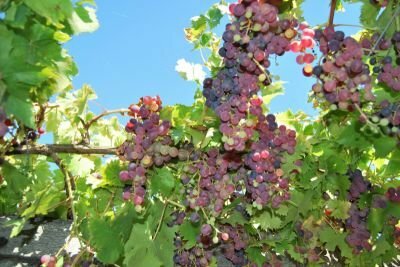 Châteaufort sits in an estate of 22 acres (9 hectares) of formal gardens, vegetable garden, orchard, woodland and rolling fields and is just a short walk from the picturesque town of Langeais, on the Loire river between Tours and Angers. Renovated to a 5 star boutique standard and filled with luxury furnishings chosen by designers in London and Paris, Châteaufort offers double and twin accommodation for up to 18 guests, in 9 individually designed en-suite bedrooms and suites over two floors. Activities at Châteaufort include an outdoor heatable swimming pool, golf driving range, badminton, disc/frisbee golf, croquet, outdoor table tennis, trampoline and pétanque. Châteaufort is close to many activities, vineyards and large châteaux open to the public. Châteaufort is perfect for holidays, weddings, celebrations, family get-togethers and special occasions. We can arrange short stays for a minimum of 3 nights during low and mid season - please contact us for details. Châteaufort is available for exclusive bookings throughout the year. You will enjoy complete and private use of the entire château and grounds. Managers live in separate accommodation in the grounds and are available to cater and help as much or as little as you need during your stay. Châteaufort's full time gardener maintains the gardens, swimming pool and grounds every weekday. In-house catering - breakfast, lunch, dinner, BBQ, canapés, special meals, etc. 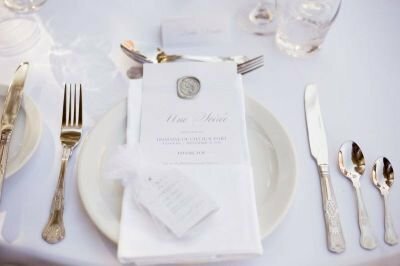 We understand that every wedding should be unique and we can arrange a bespoke wedding package just for you. We cannot speak highly enough of our relaxing and luxurious stay at Chateaufort. 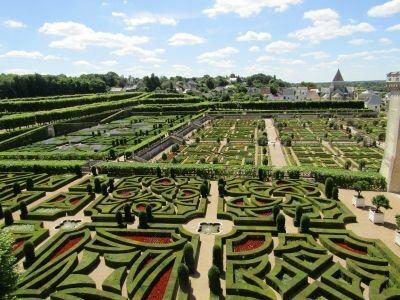 A real gem in the heart of the Loire Valley – and close enough to Tours airport (30 min drive) to make weekend visits a stress free possibility. This private 19th century chateau is set in beautiful grounds. 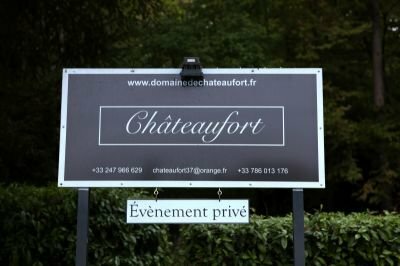 Once you drive through the main gates you are swept up a wooded driveway which opens into a wonderful view of the chateau at the top of flowing lawns. Inside, the chateau is as impressive as outside with a selection of elegant formal rooms (sitting room, dining, room billiard room and cocktail bar) and more informal family rooms (a breakfast room, a sitting room with tv dvd as well as a kids playroom upstairs). We stayed on the second floor in the wonderful Degas suite, which was very spacious with a turret room in addition to the super large bedroom and separate bathroom. Our children stayed in the next room along the corridor. We were given a tour of some of the other rooms and they are all beautifully decorated with individual themes – no bland corporate décor here! Outside there are plenty of sun loungers around the swimming pool, but also some oversized beanbags that the kids loved to play on – very useful for 40-40 homey. The food and wine was delicious, and the in-house team tailored it to meet our timetable (with the kids eating before the adults) and requirements (low carb). There are plenty of beautiful spaces for dining, the impressive formal dining room, a second dining room in a 'cellar', a smart and relaxed breakfast room and kitchen, and, of course, a large outdoor table. Tucked behind the kitchen is a quiet courtyard – perfect for pre-dinner drinks and outdoor evening meals. It seemed as though every time we ate it was in another amazing location! The in-house team were also happy to set up pre-dinner cocktails in the grounds, and we enjoyed a fiercely competitive pre-dinner game of boules! Unfortunately we didn't have enough time to sample all of the entertainment on offer. We visited the 'big' chateaux in Langeais and Villandry, so didn't manage to fit in a game of golf frisbee, but we will make sure we play the next time we visit as we definitely hope to return!" My husband and I visited Châteaufort with our 4 young children. Upon first approaching, we were amazed at the grandeur of the property. It sits on 22 acres of beautiful landscape and the building design looks like something in a fairy tale. The bedrooms and reception rooms are impeccably decorated with a mix of modern and traditional decor that really suits. It is the ideal way to experience French living. We like to keep the children busy during the days and there was plenty to do. On the sunny days, the children played on the trampoline and exploring the vast number of nooks on the vast property. A short drive away are the Villandry gardens and a wonderful zoo. On the other days we visited the Aquarium and did walking tours in the nearby historic chateaus. There was something to do around town every day of our two weeks there! In the evenings, we enjoyed a mix of some elegant, Michelin starred restaurants and some casual family style restaurants. There is a large selection of shops and restaurants within walking distance from the chateau or just a short drive away. Of course, eating out is not really necessary when you have the in-house couple looking after you. The cooking was top quality. Home cooked meals here take on a whole new meaning. Both of them took wonderful care of our entire family - preparing breakfast, lunch, dinner as needed, keeping the place clean and well stocked. We felt well looked after. Overall, our 2 weeks here flew by and we have such great memories. There was something for everyone in every kind of weather. This is holiday destination that can't go wrong. We recommend it highly." We have travelled extensively in France and I can't recommend Chateaufort highly enough. We spent a long weekend there in mid-August and we were all so impressed that I felt compelled to write this review. LOCATION Not far from Tours (therefore more accessible from the UK than many places further South but also I imagine better weather than Normandy), it is very easy to find with many local places of interest to visit. 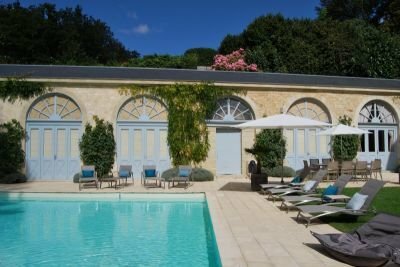 Unlike many rentable chateaux, although it enjoys wonderful grounds and an outstanding pool, it is within ten minutes walk of the beautiful historic village of Langeais. CHATEAU The Chateau itself is very well laid out, comfortable and luxurious with many gorgeous rooms where I can imagine a larger group having cocktails or a wonderful (20 seat) dinner. The rooms are very large, tastefully decorated in French chateau style with modern bathrooms. Overall, I think Chateaufort would be ideal for a large family celebration. I would love to return in a big group and there are plenty of activities apart from the wonderful pool to fill more than a few days (boules, table tennis). FOOD Perhaps the most surprising and impressive part of our stay was the food. Breakfast was wonderful, continental style in the breakfast dining room, with yoghurt, fruit and of course French bread and eggs and charcuterie. However, it was the two dinners we had at the chateau which were the surprise: unlike many French chateaux, where the guardien and his wife are on hand to cook very traditional country French food, the food at Châteaufort is easily comparable to the best restaurants in London, with many of the ingredients sourced from the chateau's own vegetable garden, cooked in a thoroughly modern and fresh manner. If you visit, I urge you to spend some evenings sitting outside eating their amazing cooking. Overall, a wonderful place to stay for a family or a group of friends. Highly recommended."